proto-col Boost is a tanning supplement which is gaining popularity among those men and women who wish to get tanned without the hassle of sprays, lotions and tanning beds. Sunless tanning, which has gained more popularity in recent years, is a process which enables one to get similar effects of a suntan but with minimal or no exposure to sun’s UV rays. Although casual exposure to sun has a few beneficial effects, excessive exposure to UV rays can have detrimental health effects including accelerated ageing, sunburns, and skin cancer among others. To avoid such conditions, many people are opting for sunless tanning methods which provide similar benefits to that of sun bathing. This tanning supplement can support production of melanin in the body, which is responsible for the change in skin colour. 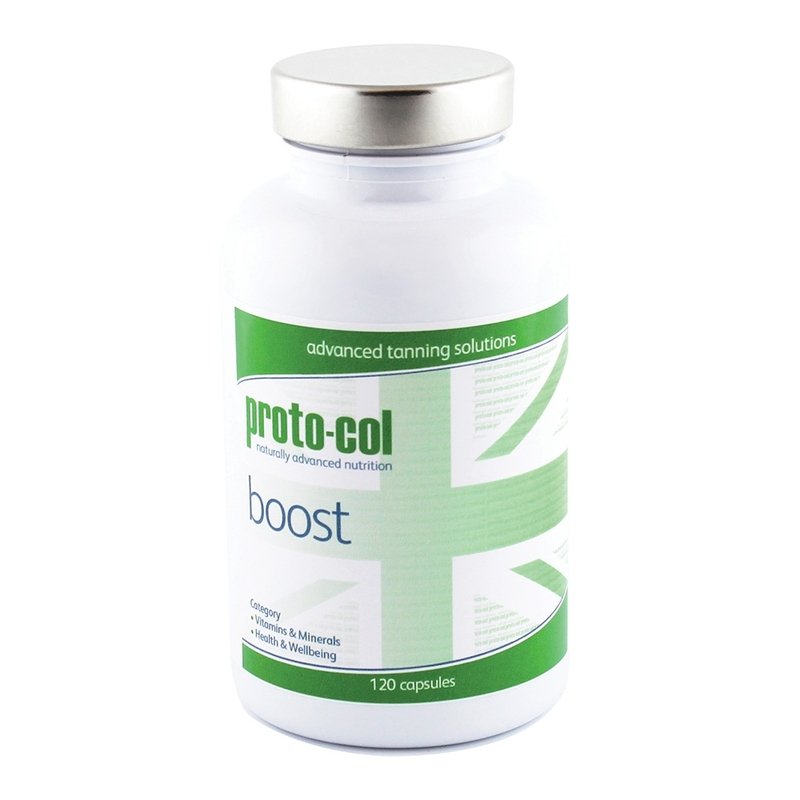 The proto-col Boost capsules can also help retain a tan for a longer duration for you to enjoy. 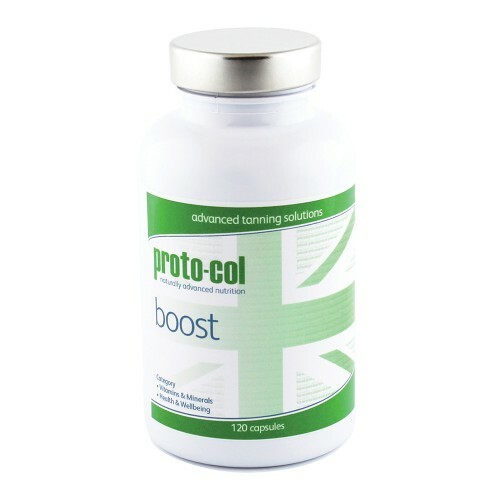 proto-col Boost is a food supplement which includes nutrients that prepares your skin to face the sun. This product aims to provide deeper, darker and longer-lasting tans. This formulation is especially suitable for fair or medium skin people who want to enhance tanning. What is proto-col Boost made of? This tanning solution consists of 10mg of pantothenic acid which is vital in creating carbohydrates, fats and proteins. Production of healthy red blood cells and prevention of anaemia is taken care of by the presence of 200mcg of folic acid, which is yet another key ingredient in proto-col Boost capsules. Zinc, which possesses powerful antioxidant properties, protects skin from premature ageing and also has healing properties. How do I use this tanning supplement? By taking 2 capsules twice a day before meals, many users have seen the desired results. Also, many users usually choose to continue taking proto-col Boost capsules even after 2 days of exposing themselves to the sun’s UV rays. It is also advised that you take these tablets two days before you plan to expose your body to the sun. These self-tanning pills can be taken for as long as one wishes. Although the supplement does not include any harmful agents, it is advised to check all the ingredients carefully to prevent any known allergies from occurring. It may also be noted that the suggested dosage present on the label should not be exceeded. How do I order my proto-col Boost? You can now place an order for proto-col Boost with Skin Care Total before 4pm on any working day to receive your package the following day. Begin now by choosing the ‘Add to Basket’ option now.